Fall is in full swing and we’re here to show you the best places to visit in Maine. Take one look at these gorgeous autumn colors. It’s easy to see why people flock here from around the globe to vacation. Cozy cabins, long winding roads, and picturesque lighthouses are the stuff travel dreams are made of. The best places to visit in Maine offer historical insight into our country’s origins, plenty of activities, and a gorgeous landscape. Miles of sandy coastline and rocky cliffs are as popular with adventure seekers as the mountains to the west. You’ll never run out of things to see - but that doesn’t mean we can’t show off a few of our favorite spots. Welcome to 47,000 acres of pure Atlantic coast and forest. 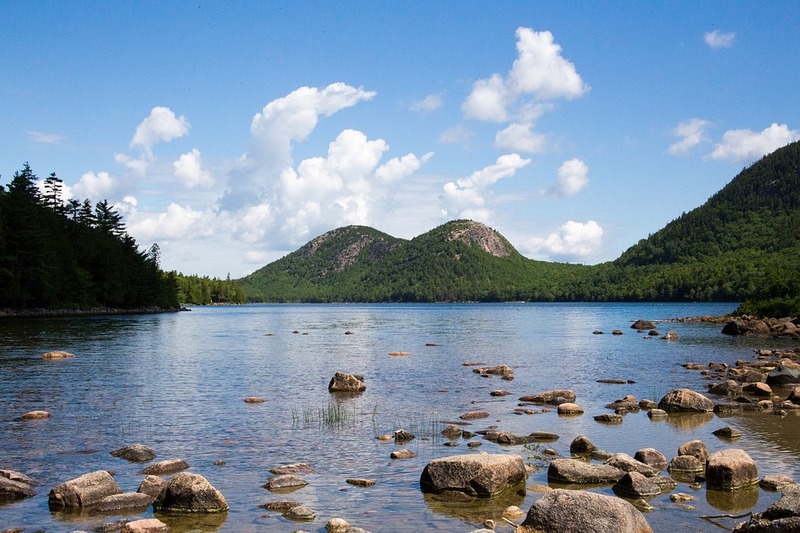 This recreation area is marked by Maine’s Mount Desert Island. Woodland, rocky coves, and crashing waves come together, all framed by towering granite peaks. Here, you’ll find Cadillac Mountain, the tallest point on the entire east coast. 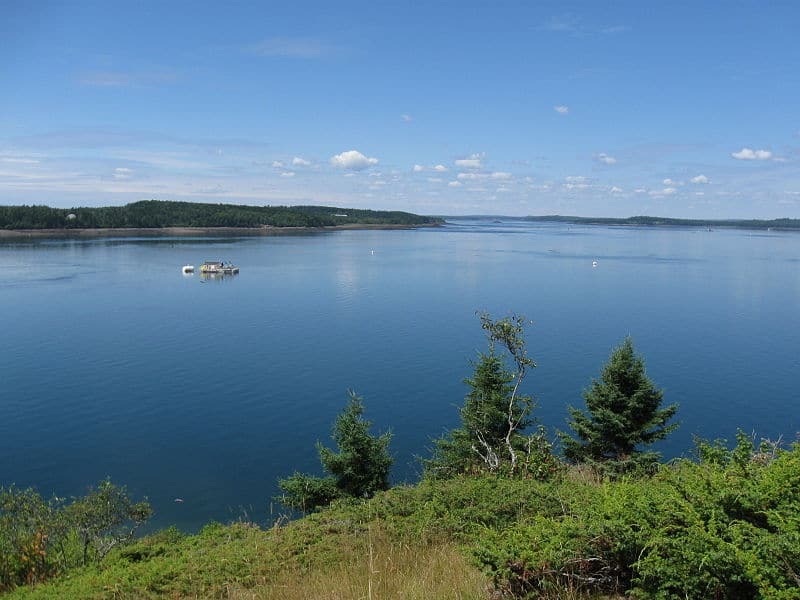 Whether you’re seeking out the small town charm of Bar Harbor or trekking to find stunning views, this gem has it all. One of our favorite spots in Acadia National Park is Thunder Hole. Over the years, the ebb and flow of the tide have carved out a perfect inlet among the rocks. While at first glance, it seems like a simple cove, just wait for the waves to come in. And stand back when you do. When the rush of the water arrives, the caves swell under pressure. Air and water are forced out with a resounding clap like thunder. Water can spout up as high as 40 feet! 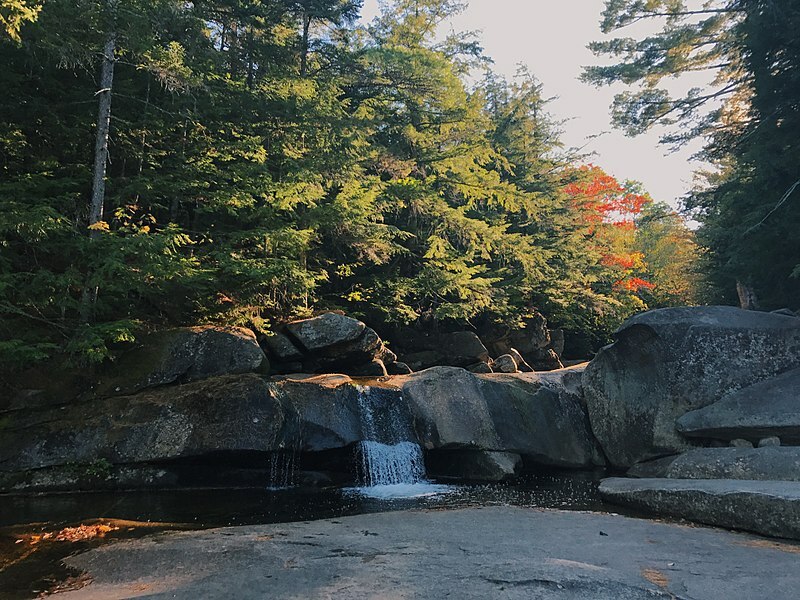 If you’re looking for the best places to visit in Maine, starting out with a beautiful national park is the way to do it. Fall is one of the most magical times to visit. Acadia National Park transforms from its sunshine flooded skies to a cooler crisper breeze, crunchy leaves, and a world of color. You’ll find this 47,000 acre park lies along the Atlantic coast. Hike or climb Cadillac Mountain or opt for something a little more tame like a stroll along the rocky beaches. Autumn offers a unique opportunity to avoid the crowds and find a little slice of paradise you can call your own - even just for the day. Photographers need to add this to their list of things to do in Maine. Head over to Baxter State Park for a real challenge. If you’re up for it, hiking Mt. 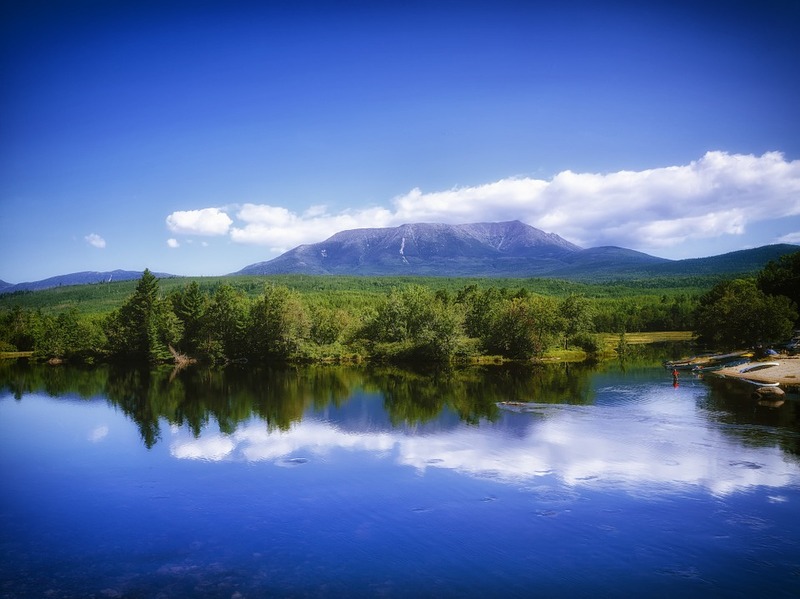 Katahdin is one of the most satisfying things to check off your east coast bucket list. As the tallest peak in the state, a view from the top offers jaw-dropping 360-degree views of mid-state. There’s no doubt about it. This is one of the best places to visit in Maine. While it does take 10 hours to reach the top (at a moderate pace), the journey is more than worth it. Along the way, you’ll pass by gurgling brooks, plateaus with a clear glacier lake, and scramble over boulders before reaching the top. Come to this park to hike, climb, and simply enjoy some of the east coast’s nature. A 5,267-foot mountain juts out from above the forest, piercing through the sky. If you only have one day (and you’ve got the skills) climb the face of Katahdin via the Knife Edge. This 1.1-mile-long serrated path links to several peaks before hitting the summit. Needless to say, the view from the top is absolutely breathtaking. Keep in mind that this route is not for the faint of heart. Even the most avid climbers have difficulty with it. Give yourself plenty of time and enjoy the climb. Just know that when you do hike or climb your way to the top, the view is definitely a worthy prize. Go to the store and pick up a few postcards of Maine. We guarantee you that Casco Bay will be on one of them. This inlet on the southern coast gulf is home to a slew of beautiful commuter islands. Are you looking to take a beautiful ferry ride? How about going kayaking or cooking up your first ever fish dinner right on the sand? Well, you can do all of the above here - and more. If you’re taking a day trip from Portland, most travelers head over by way of Peak’s Island (aka the most fun route for a bike ride). 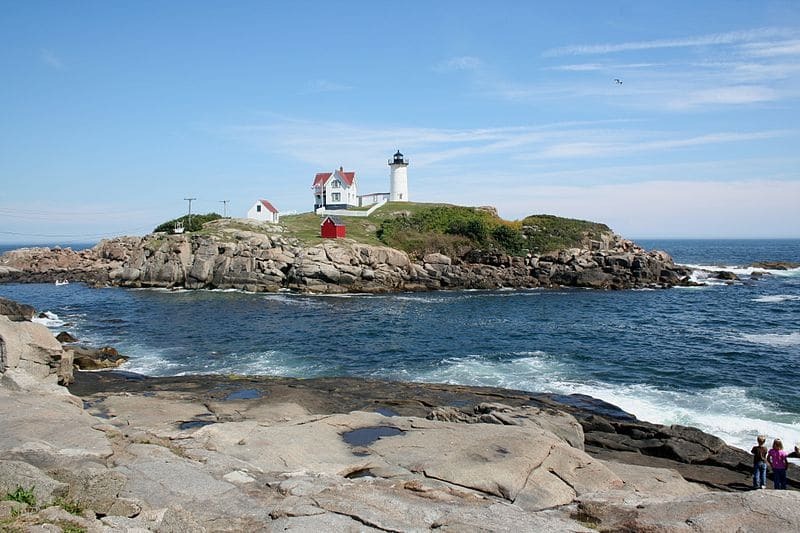 Bailey Island is another viable route, offering some of the most beautiful harbors in the state. If you ask us, pack a picnic and plan for an hour or two just spent down by the water. You won’t regret that you did. Welcome to one of the best places to visit in Maine. This scene looks like something straight out of a Wes Anderson film. Green rolling hills give way to a dramatic coastline and the colorful lighthouse perched above it all. We’re sure you have seen pictures of the Cape Neddick Lighthouse before. But it’s somehow even more beautiful in person. 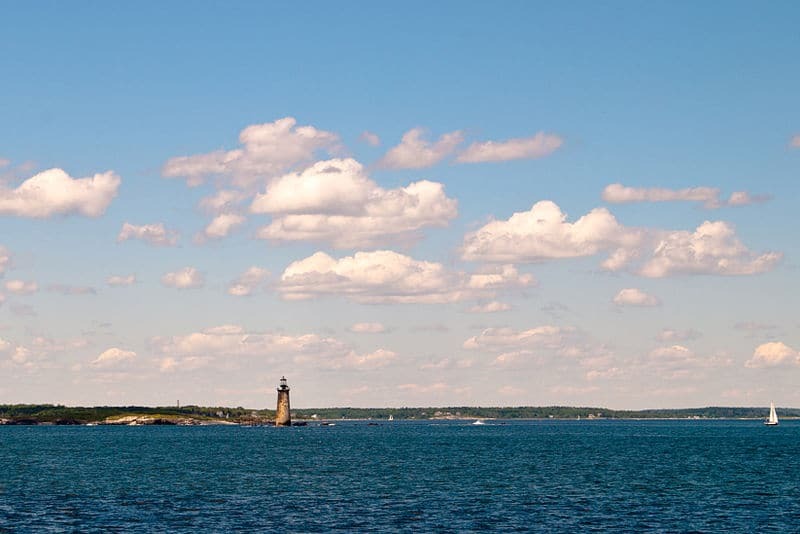 As one of the state’s most iconic lighthouses, it occupies a special place in local hearts and history. You’ll find it located right by the scenic town of York Beach by Long Sands. If you’re looking for a good time to visit, fall and the holiday season are perfect. On the first Saturday after Thanksgiving, the Christmas lights go up. The chalk white walls are transformed into a breathtaking holiday scene. These lights will be up until the first week of January in the new year. While the lighthouse and its grounds are not open to the public to explore, you can park nearby for free and cozy up on the grass nearby to watch the sunset. Bring plenty of blankets and hot chocolate. This is one for the books. Sure, this activity is a little offbeat but that means fewer tourists and more space for you to explore. 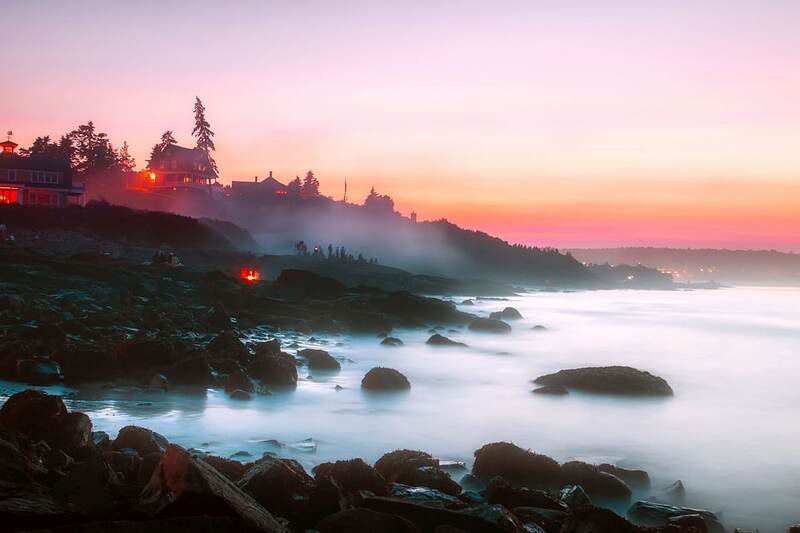 In our book, this is one of the best places to visit in Maine. Plus, we can’t think of a more beautiful afternoon walk than on these grounds. In the fall season, this tree-covered campus turns into a fall wonderland. Plus, it’s prime location has it set next to a slew of great little cafes and eateries. Grab a pastry and a hot cup of coffee and enjoy yourself. While you are here on campus, check and see if you can swing by the Peary-Macmillan Arctic Museum. This fascinating exhibit shows dog sleds carrying explorers into the Polar landscapes and the artifacts they retrieved during their expeditions. When you’re ready for some real food, you are in for a treat. 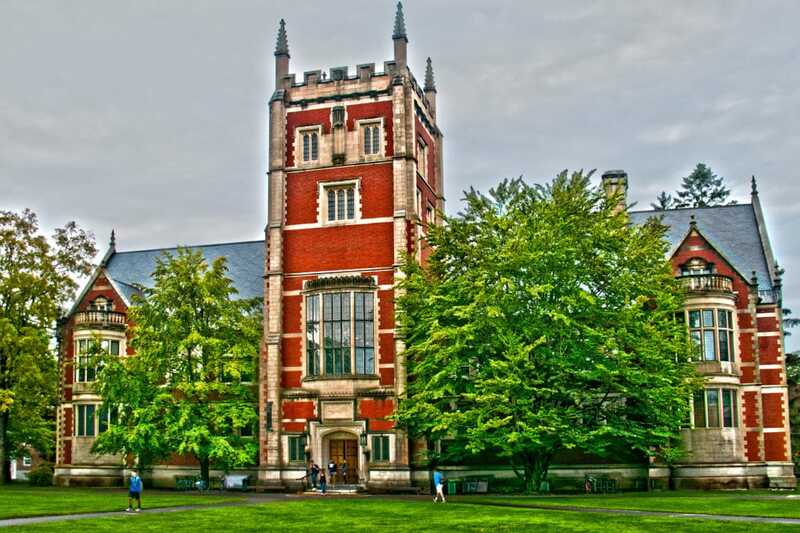 We bet you didn’t know that Bowdoin’s dining halls are rated among the top in the country. While you’ll spend $14 to $16 per person, it’s buffet style so it is worth every penny. 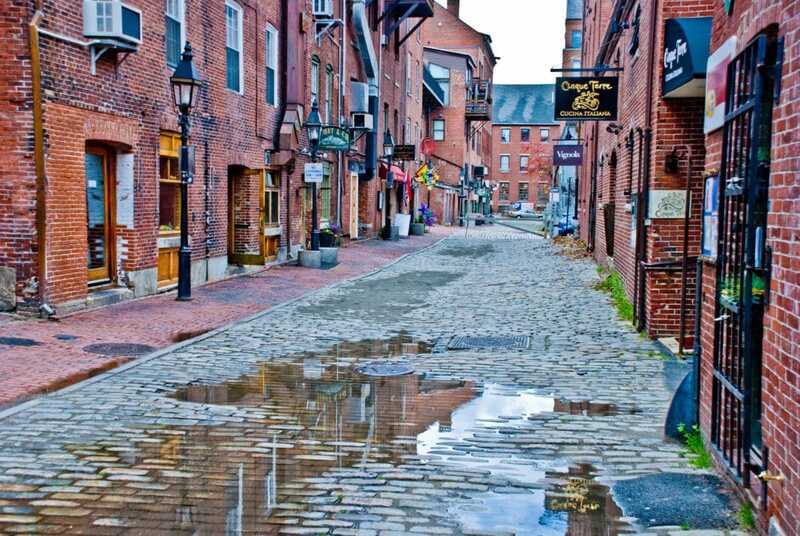 Known for its 19th-century buildings, fishing ports, and charming cobblestone streets, Portland’s Old Port is one of the best places to visit in Maine. If you’re looking to go shopping, this is the place to be. The district is teeming with boutiques, restaurants, and trendy bars. Because it’s got quite the reputation for its nightlife scene, it is a popular destination for tourists and locals alike. Come and see Maine’s oldest and largest public art institution. It has everything you would want out of a museum visit. But get this. The prices are cheaper and the lines are shorter. If you’re looking to get in on some culture, some of the most popular exhibits include works from Picasso, Monet, and Andrew Wyeth. 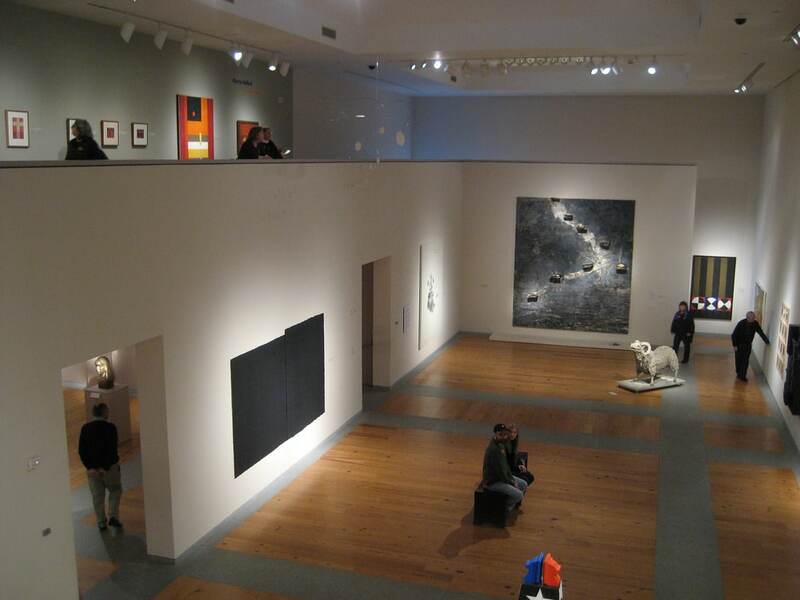 The Portland Museum of Art (PMA) is home to more than 18,000 artworks dating from the 1700s to the present day. One of our favorite things to see is the room dedicated to the coastal works of Winslow Homer. 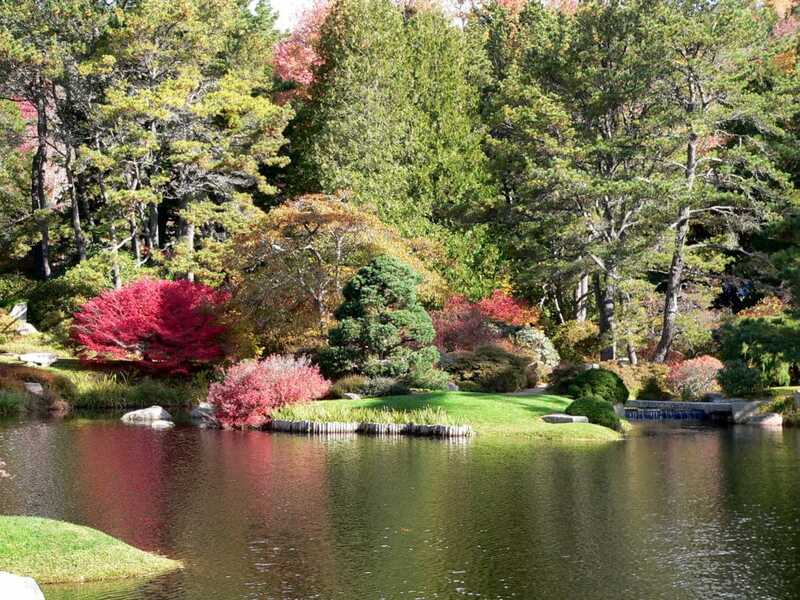 Simple and elegant, this small Japanese garden gives you yet another reason to make the trip to Acadia National Park. While this garden is often overlooked by travelers, it’s definitely one of the best places to visit in Maine. The beauty of the Asticou Azalea Garden changes throughout the year. From the early spring on through mid-May, cherry trees blossom under the emerging rays of the sun. Shortly after, colorful azaleas and rhododendrons follow suit in June. July blooms include the Japanese iris, smoke bush, and the sweet azalea. In August, blooming water lilies transform the scene into something straight out of a Monet painting. Come fall, the landscape transforms into a kaleidoscope of colors. Visit any time you would like between spring to fall. Nature’s beauty won’t disappoint. This mountain range separates Maine from New Hampshire. If you love hiking, this is your paradise. One of the most challenging trails in the east can be found here along the Appalachians, including the region’s tallest mountain, Old Speck. Here, it’s common to see peregrine falcons soaring over the waterfalls, gorges, and overhead scenic roads. While you are there, make sure to visit Rock. This strip of granite will have you imagining scenes from the Lion King. Add Cobscook Bay State Park to your list of must-see spots. After all, it is one of the best places to visit in Maine. Travelers and locals alike come to hike and camp here. If you’re looking for a little privacy, the off season is the perfect time. Come and enjoy the views, carriage roads, and some prime spots.Photo-op seekers, seascape lovers, and nature lovers alike find solace here. We hope you enjoyed reading our article on the best places to visit in Maine. As you can see, this east coast gem has everything you need for a dream vacation. From charming coastal escapes and resorts to the best hidden eateries and hiking spots, Maine offers plenty of fun for the adventurous traveler.